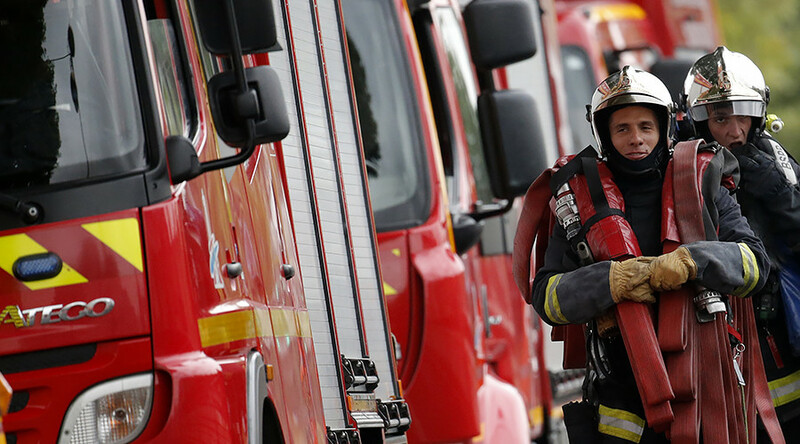 The “seemingly deliberate” fire started on Sunday morning at a residential building in Paris’ Boulogne-Billancourt neighborhood, AFP reported. Firefighters were notified shortly before 7:00am local time. It took an hour to extinguish the blaze and four people were treated for smoke inhalation, a fire brigade spokesman said. Authorities said they will investigate to determine the cause of the blaze. “It was a seemingly deliberate fire,” a police source told AFP. The fire seems to have broken out at three separate apartments. One was completely burnt out, another was damaged by the flames, and a third saw a fire flare up outside its door. All are located on the fifth floor. The building’s residents have been taken to a nearby college. Boulogne-Billancourt came into the spotlight in December of last year when a fire broke out at a migrant reception center there. One man died in that blaze after jumping from a third-floor window to escape the flames, and thirteen people were injured. Six migrants were rescued by firefighters. An initial inspection found traces of a flammable liquid in the lobby of the six-story building, prompting further investigation.